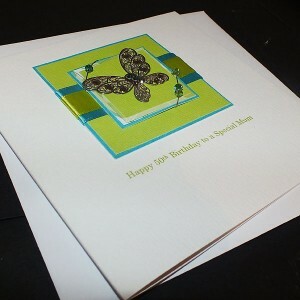 These cards are all sold with a white envelope, with prices starting from just £3.50. 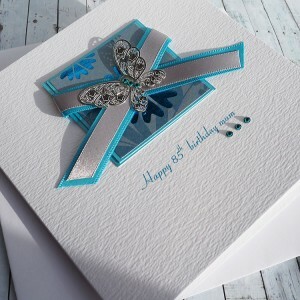 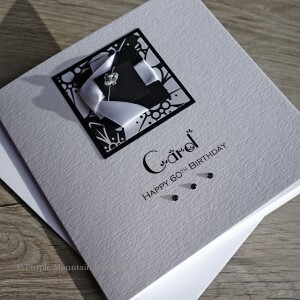 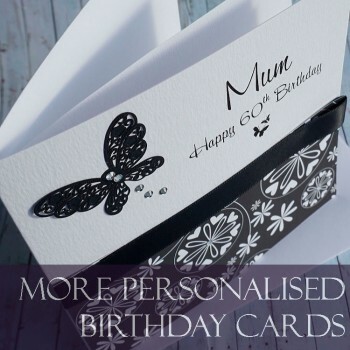 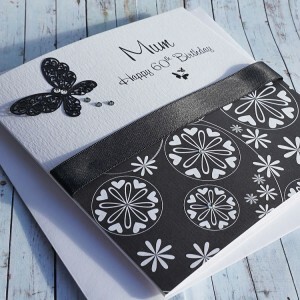 Made with the same attention and with great quality materials, these birthday cards can still be personalised with your own choice of special person and occasion. 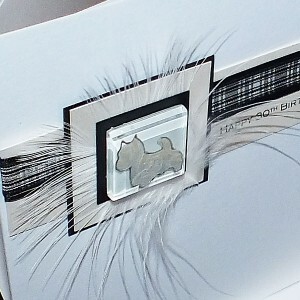 Many of the cards are also available with a tissue lined presentation box. 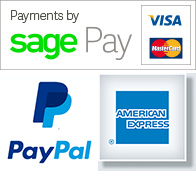 Simply select your chosen option before adding your chosen card to the shopping cart. 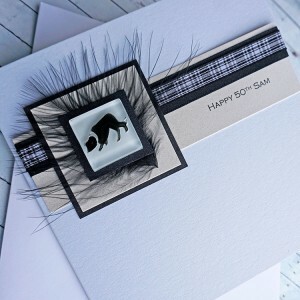 Handmade Border Collie Birthday Card A Black & White Border Collie dog hand painted onto .. 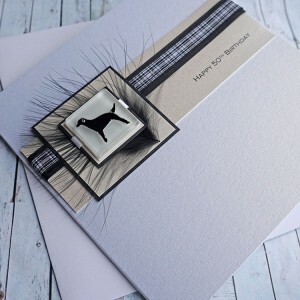 Handmade Black Labrador Birthday Card A Black Lab dog hand painted onto a glass tile and moun.. 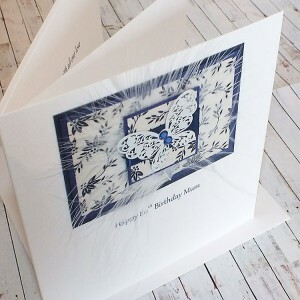 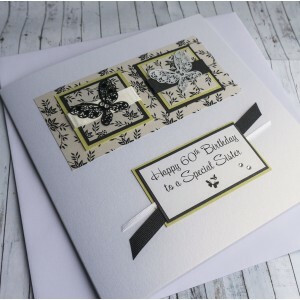 Handmade Birthday Card "Blue Lace Butterfly" A pretty handmade card for Mum, Daugher, Sister .. 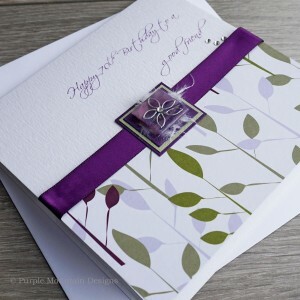 Handmade Birthday Card "Purple Daisy" This pretty handmade birthday card, shown here for a Da.. 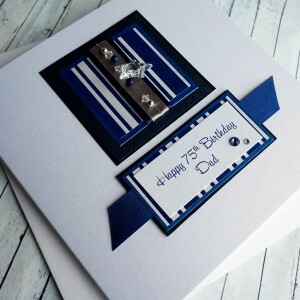 Handmade Birthday Card for Father, Husband, Son etc "Blue Stripes" This beautiful handma.. 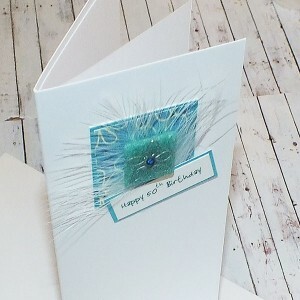 Handmade birthday card "Green Daisy" This birthday card has a silver daisy hand painted onto .. 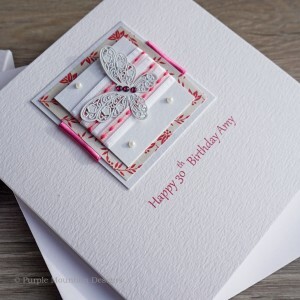 Handmade Birthday Card "Pink Lace Butterfly" An elegant handmade birthday card design featuri.. 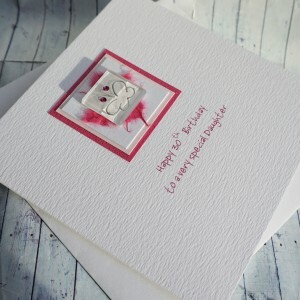 Handmade Birthday Card - 'Pink Glass Daisy' This birthday card has a silver daisy hand-p.. 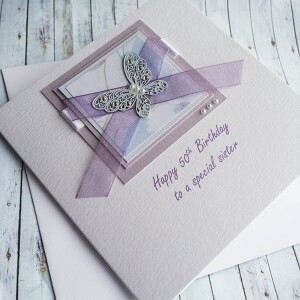 Handmade Birthday Card "Pink Glass Butterfly" A pretty handmade birthday card with a silver b.. 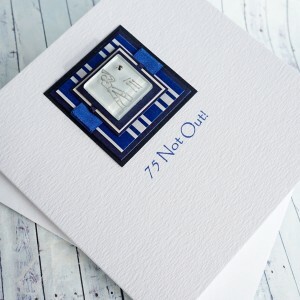 Handmade Birthday Card "Cricket" Perfect personalised card for a cricket loving Dad, Son, Bro.. 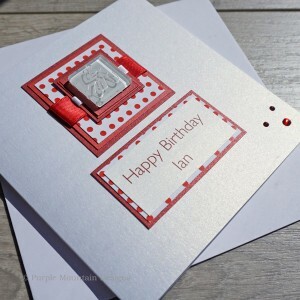 Handmade Cycling Birthday Card for Dad, Brother, Son, Husband etc This personalised cycling b..